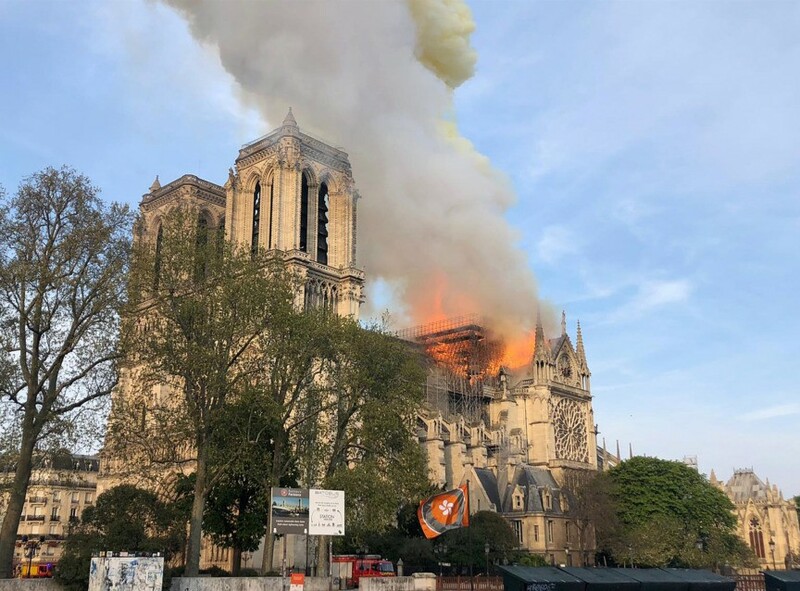 This livewire has now closed. 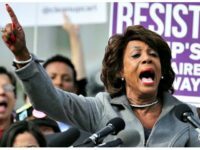 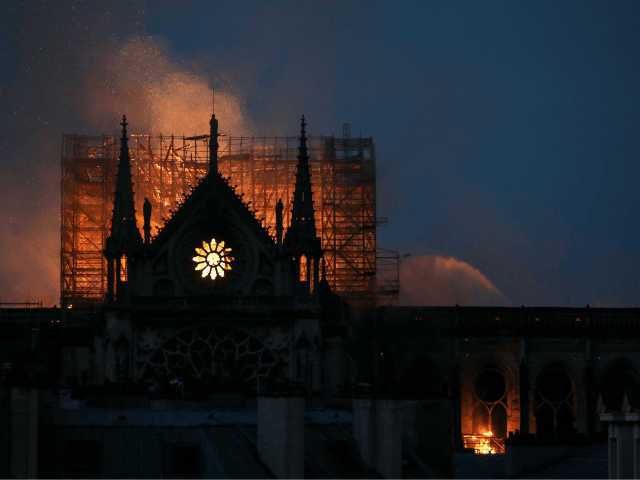 Get the latest at Breitbart London. 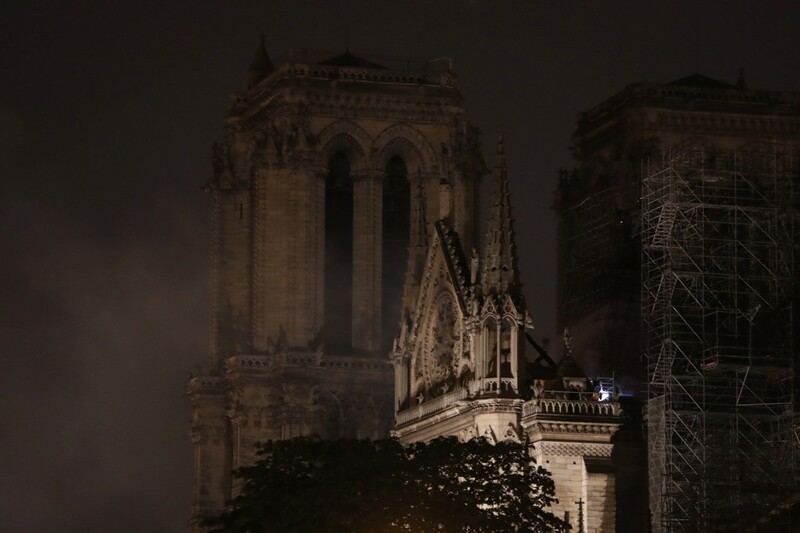 Finally, and nearly 15 hours after the fire began, all flames have now been put out. 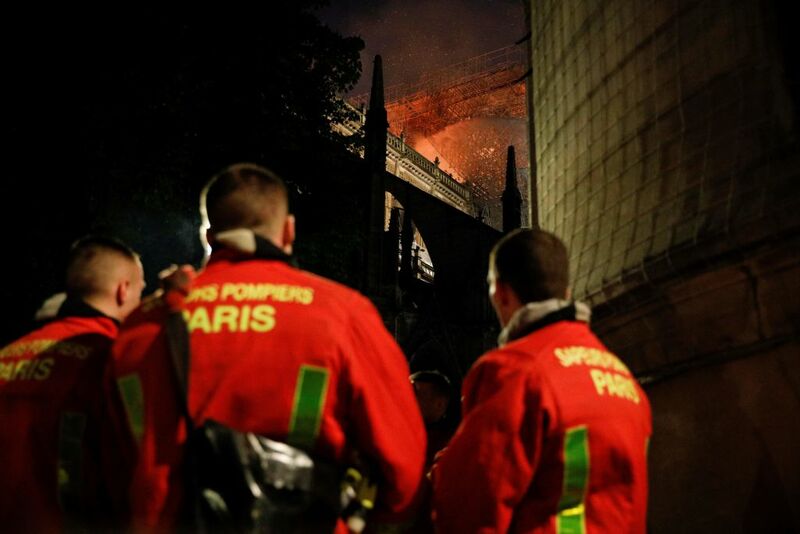 Speaking at just before 0900 BST, Paris’s fire department confirmed “the whole fire is extinguished”, reports Le Parisien. 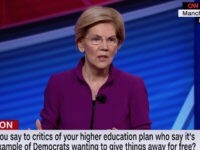 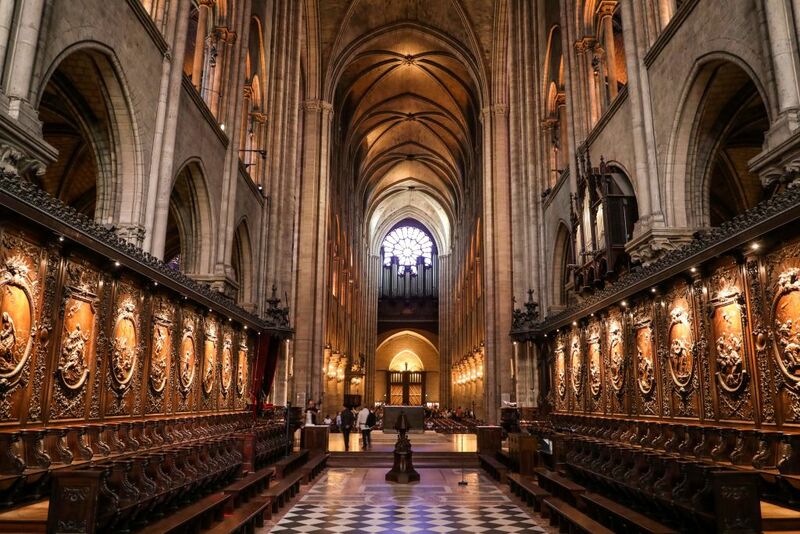 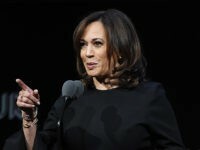 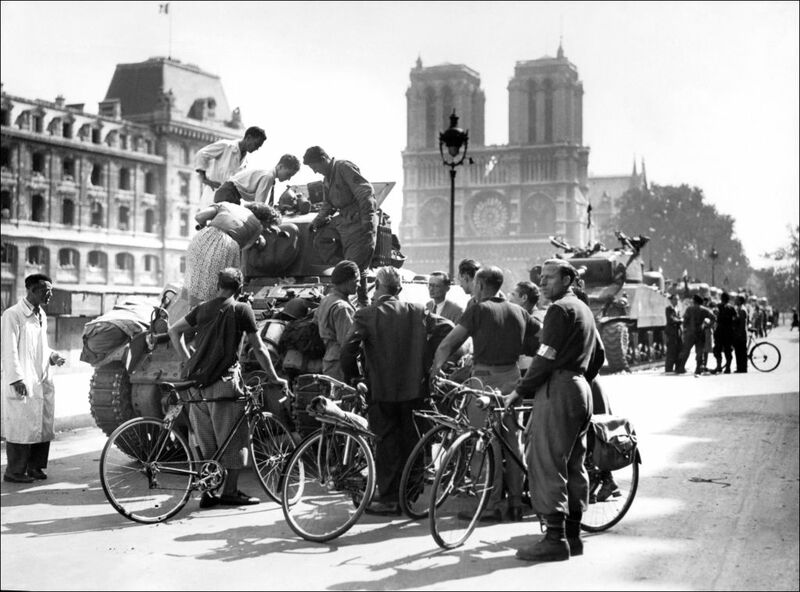 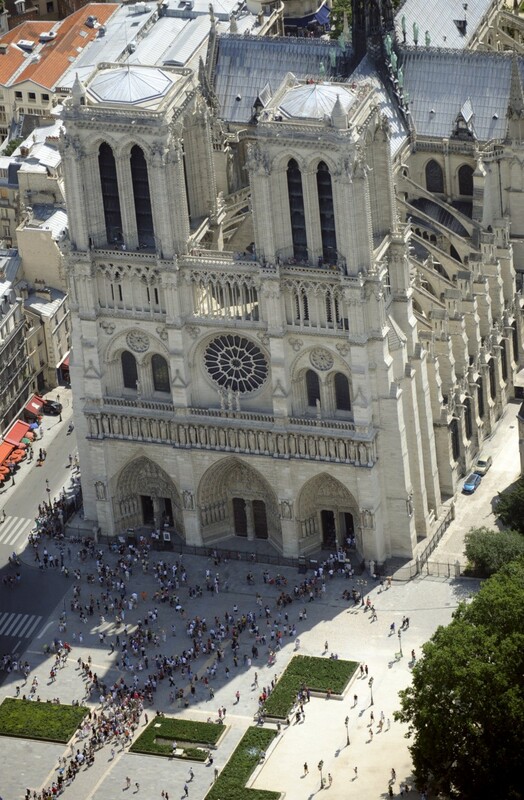 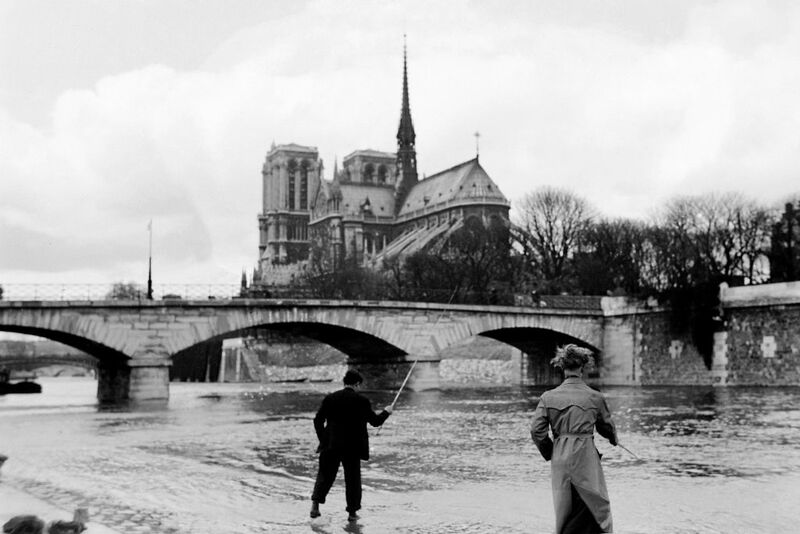 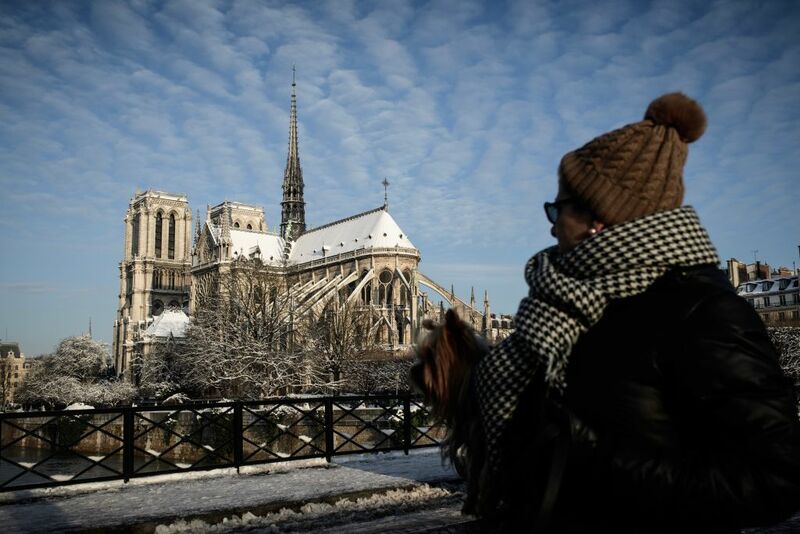 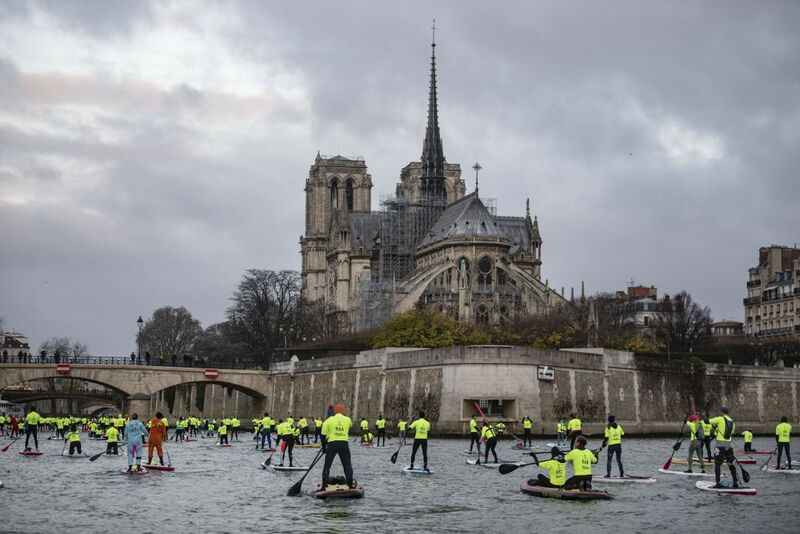 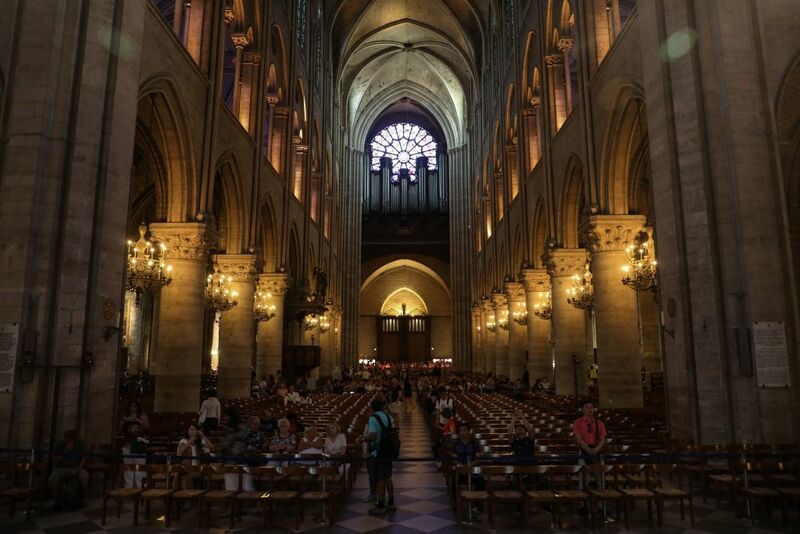 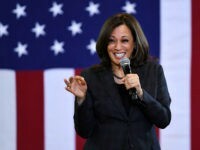 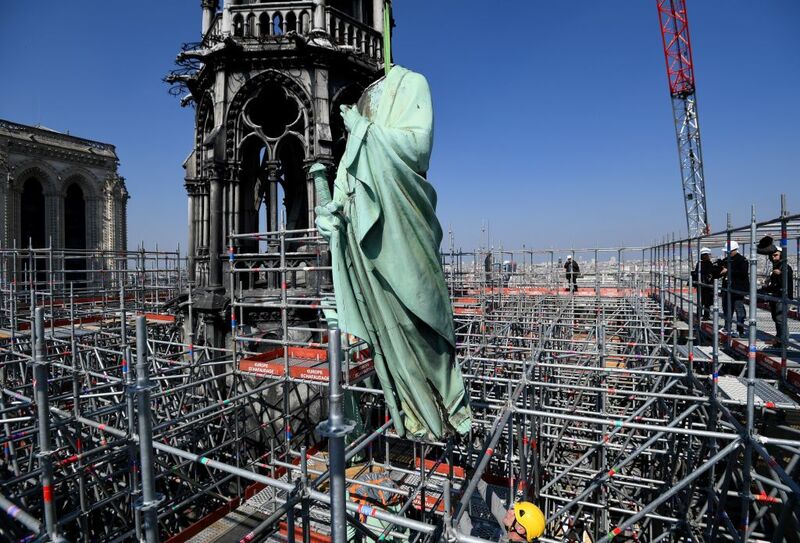 (AP) — Notre Dame, a survivor of wars and revolutions, has stood for centuries as not merely the greatest of the Gothic cathedrals and a towering jewel of Western architecture. 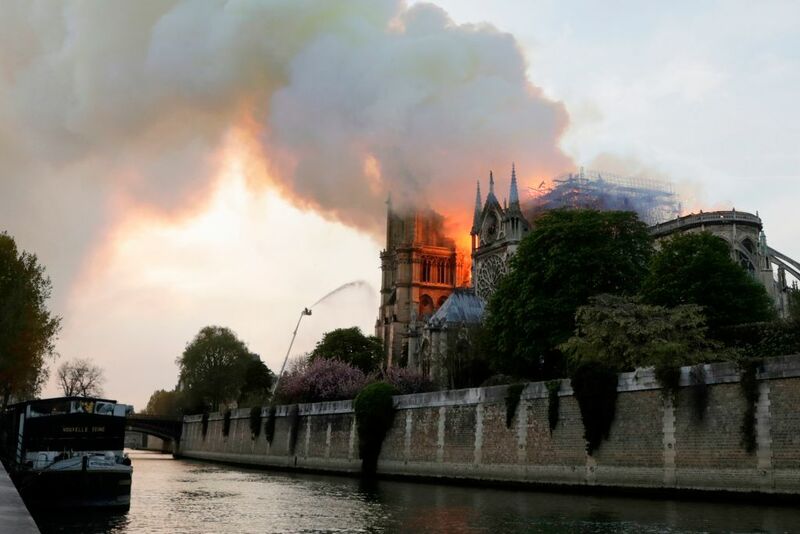 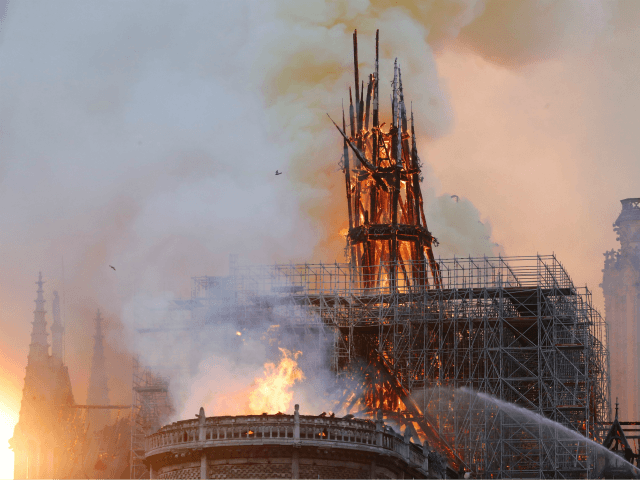 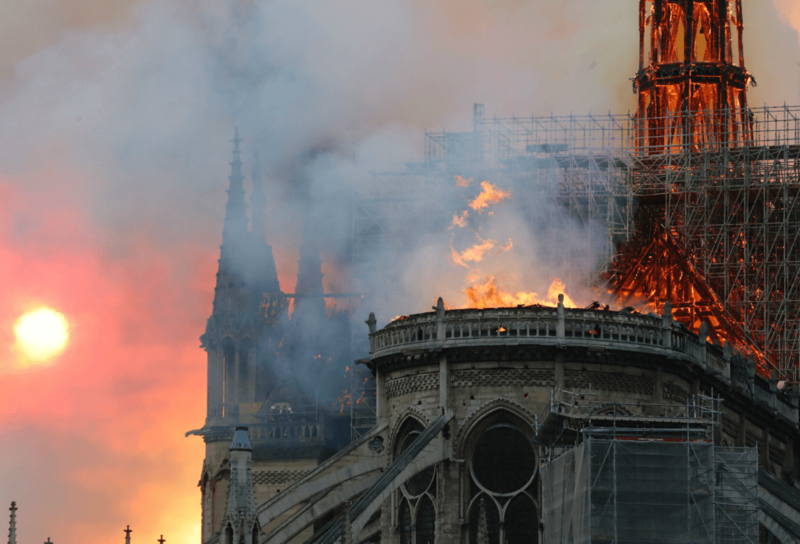 More on the art world reaction, including photos of Notre-Dame’s artistry throughout the ages, read here. 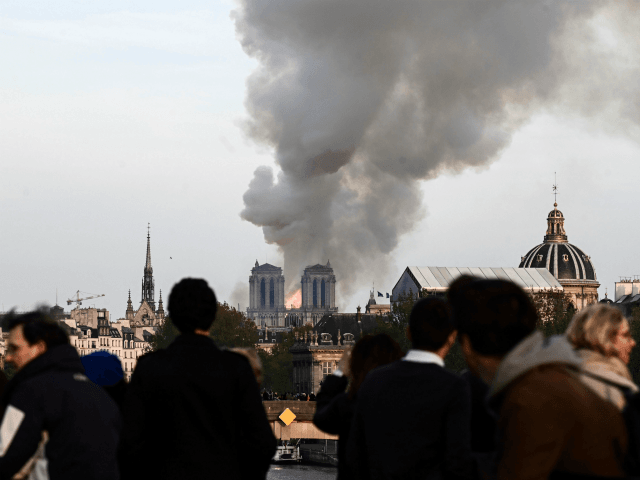 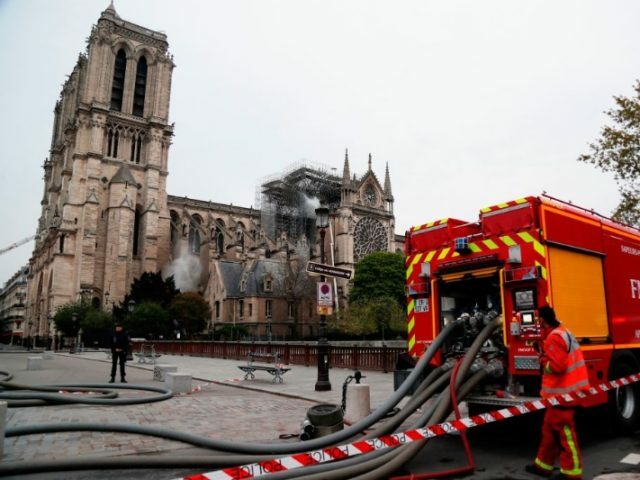 (AFP) — A huge fire that devastated Notre-Dame Cathedral is “under control”, the Paris fire brigade said early Tuesday after firefighters spent hours battling the flames. 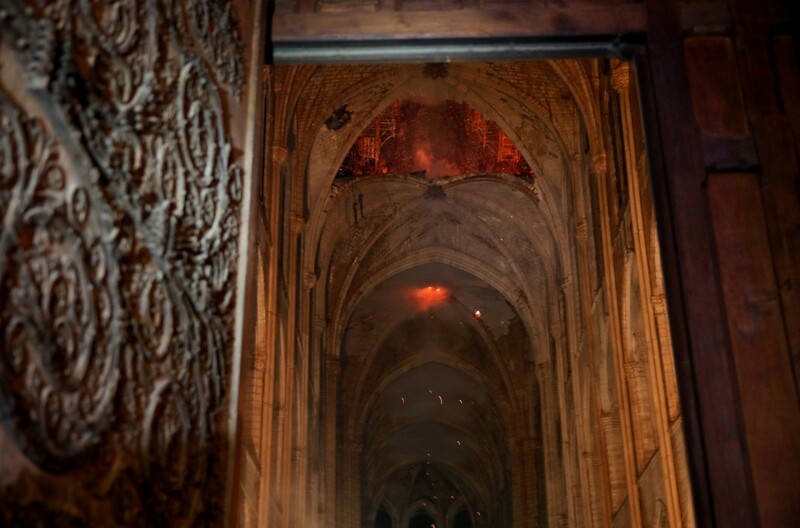 “The fire is completely under control. 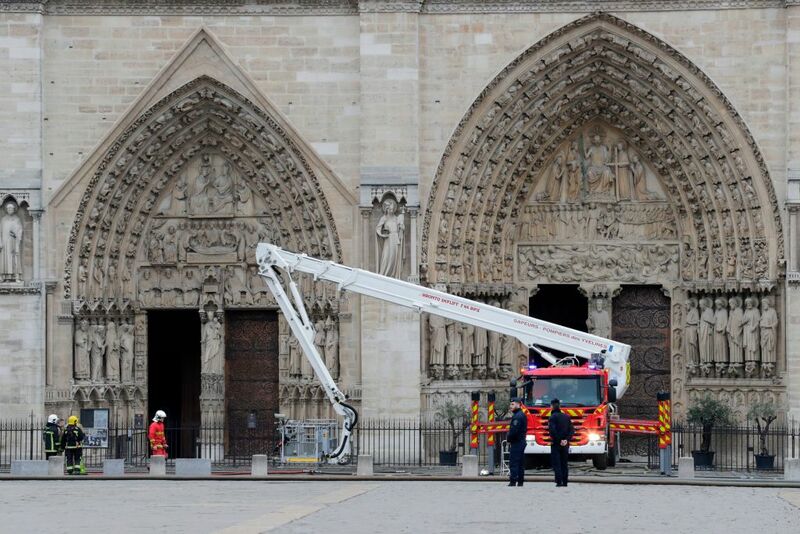 It is partially extinguished, there are residual fires to put out,” said spokesman Lieutenant-Colonel Gabriel Plus. 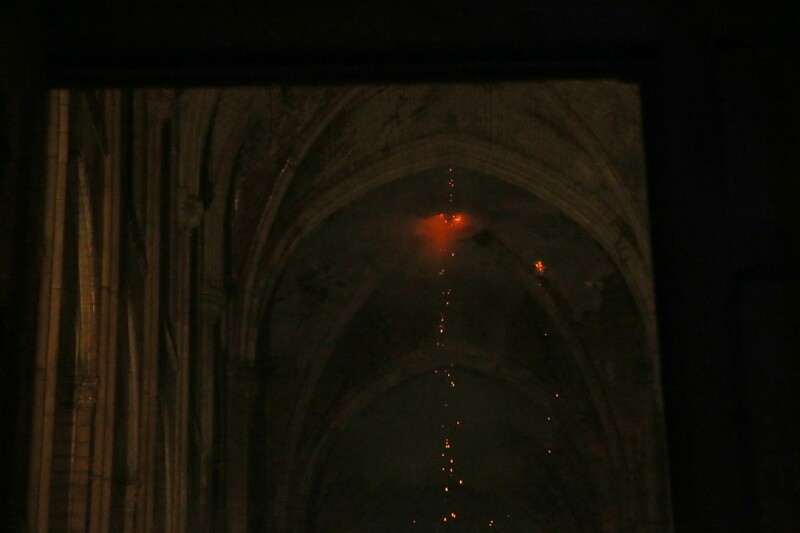 Some photos of the cathedral’s interior show it is damaged, but not destroyed. 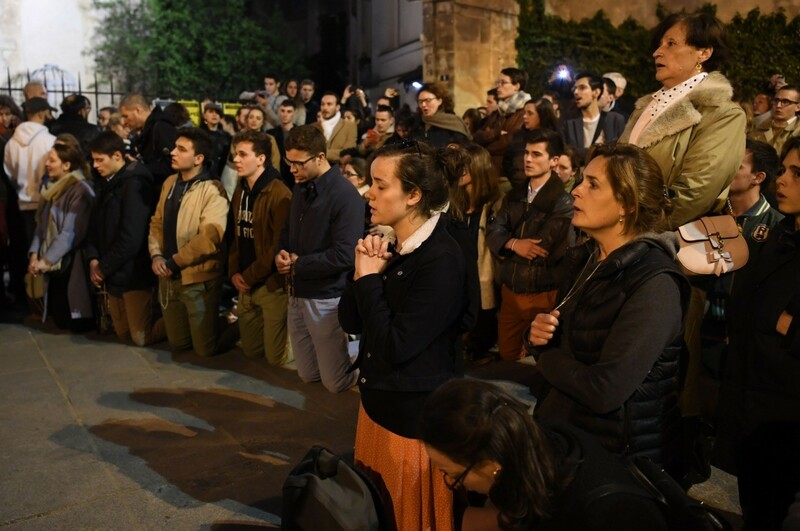 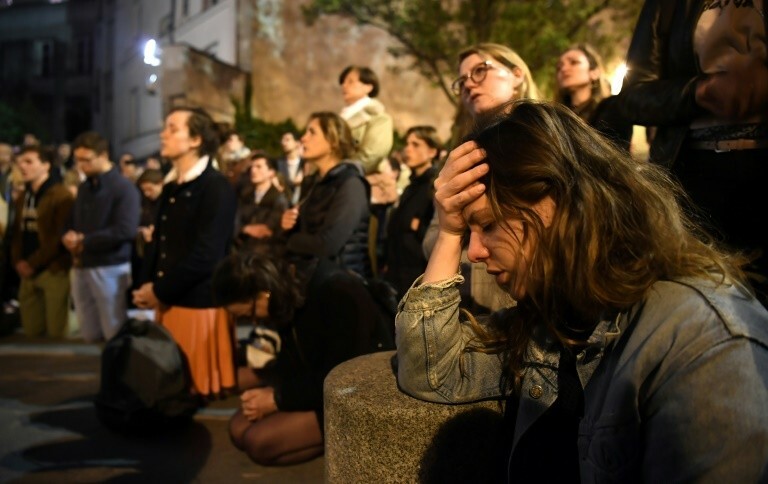 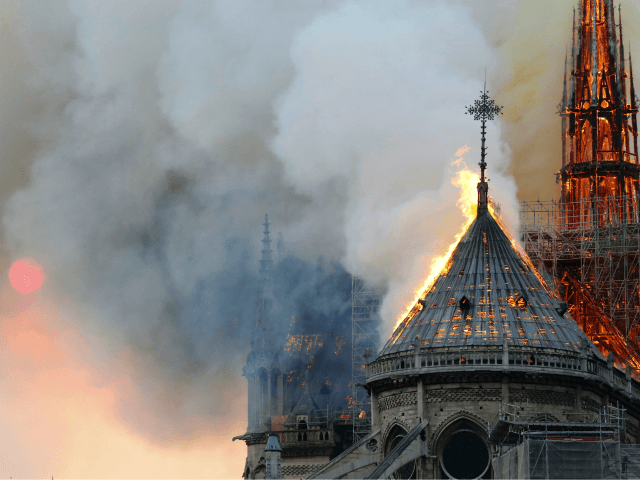 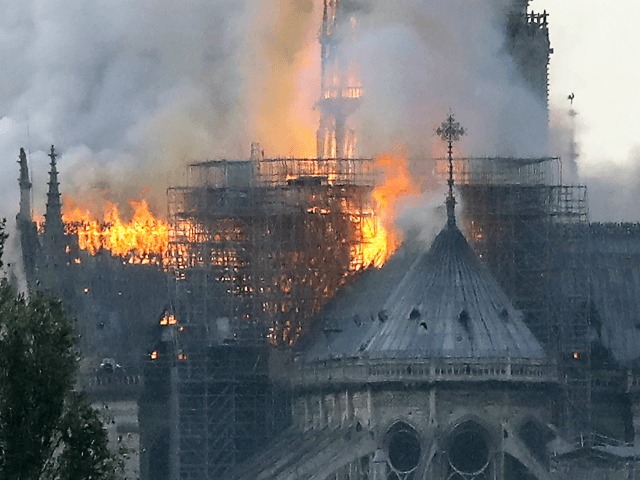 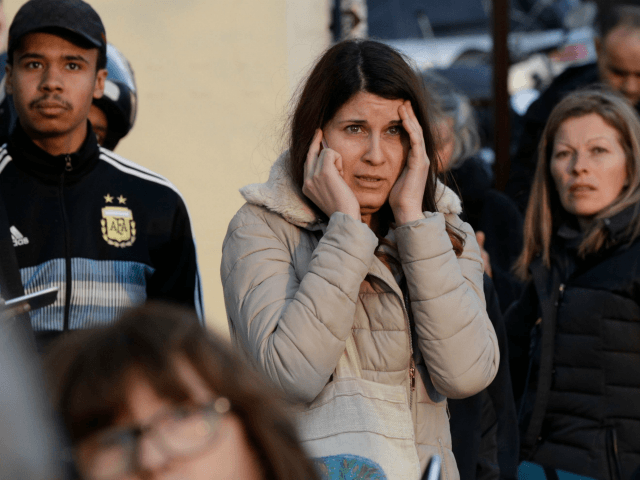 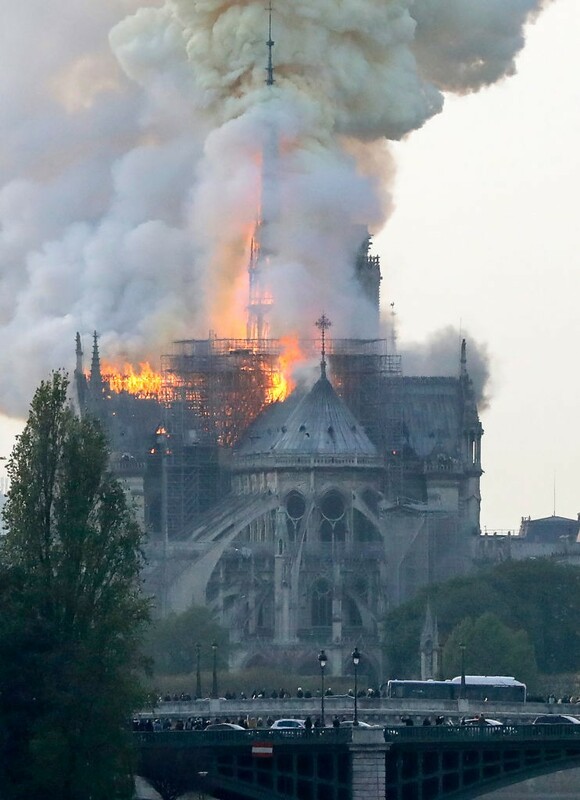 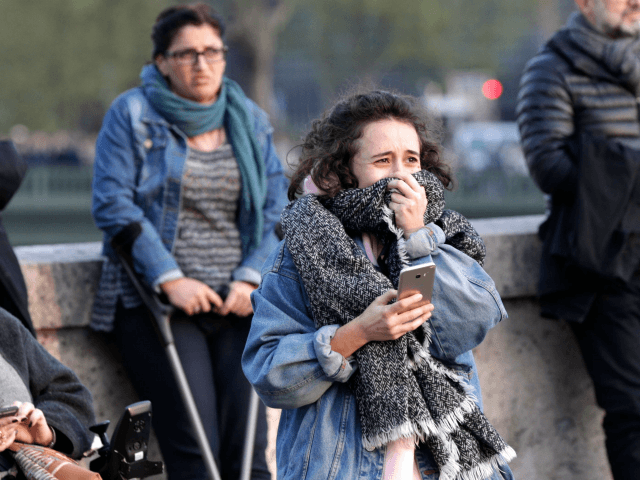 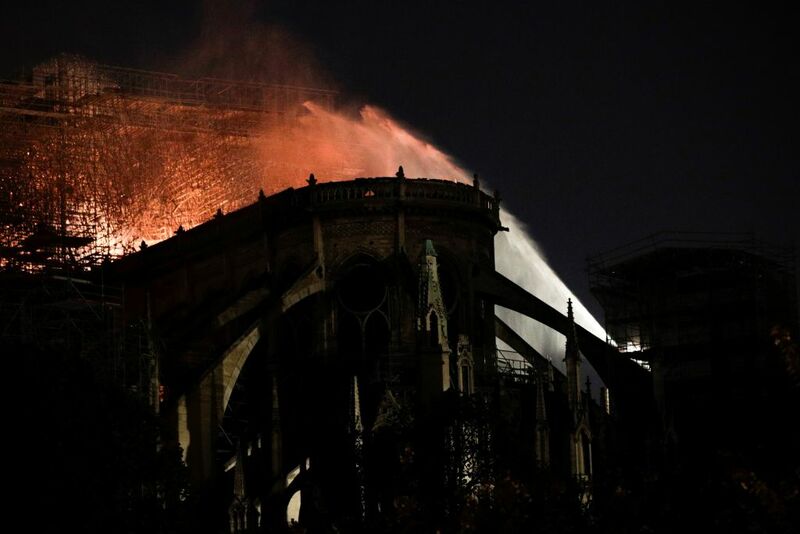 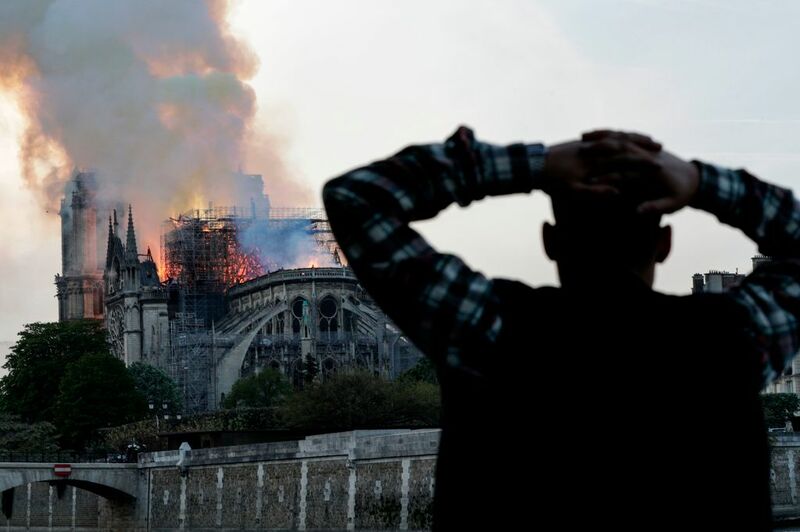 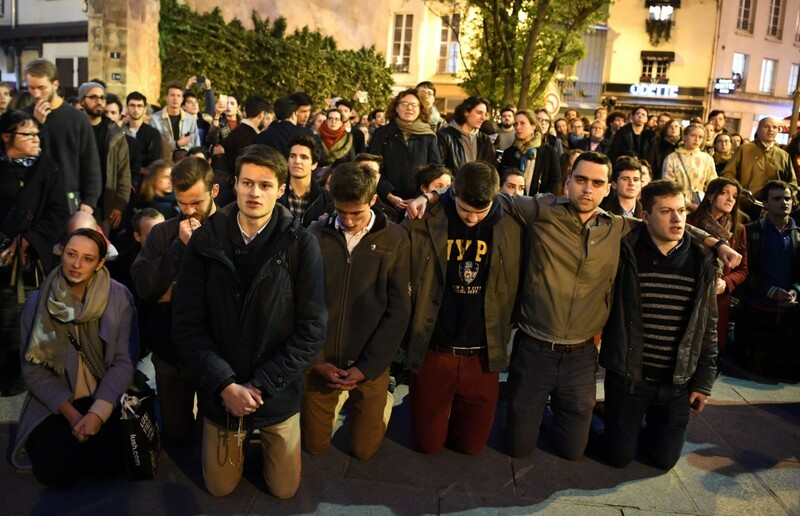 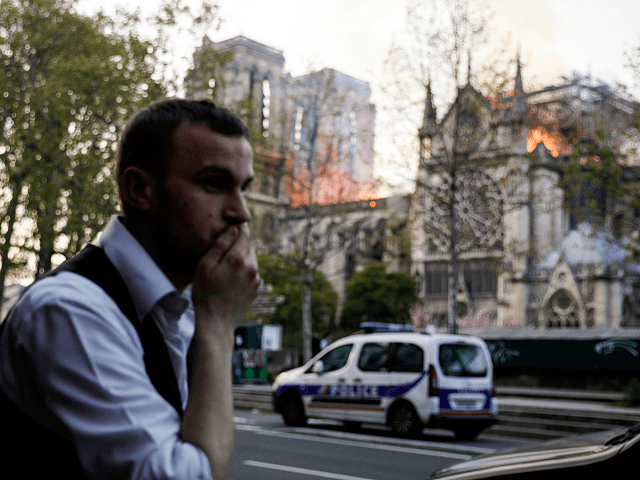 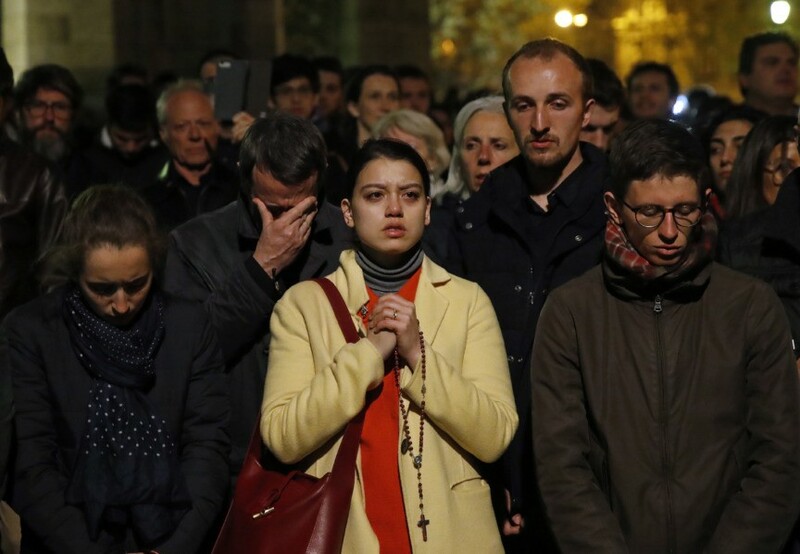 (AP) — The world reacted with shock, horror and prayers to the massive fire Monday at the Notre Dame Cathedral in Paris, united in grief and in solidarity with the people of France. 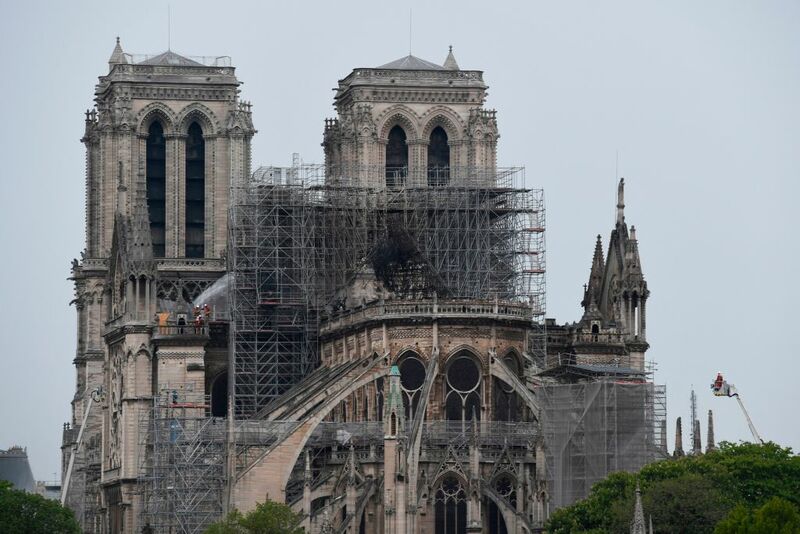 (AFP) — “The soul of the French nation is disappearing, the very heart of Paris and France were wounded today,” added Stephane Bern, a journalist who has long campaigned for the defence of the country’s cultural heritage. 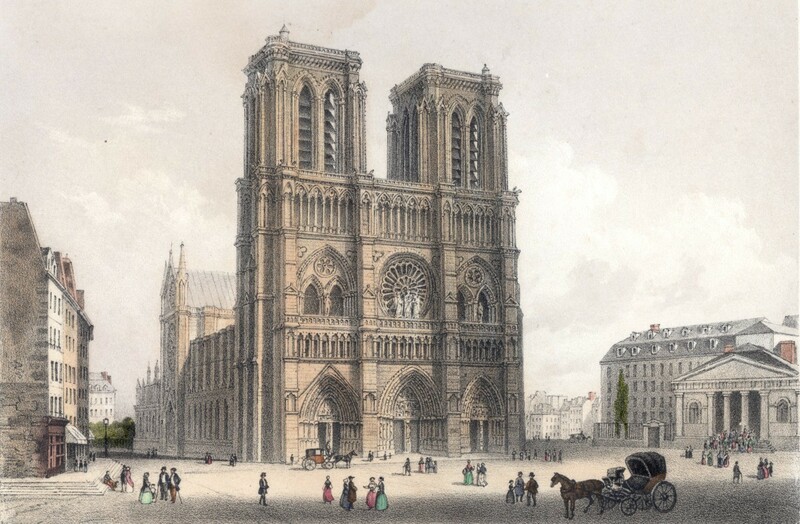 For more about the history of the cathedral, including historic photos through the years, read here. 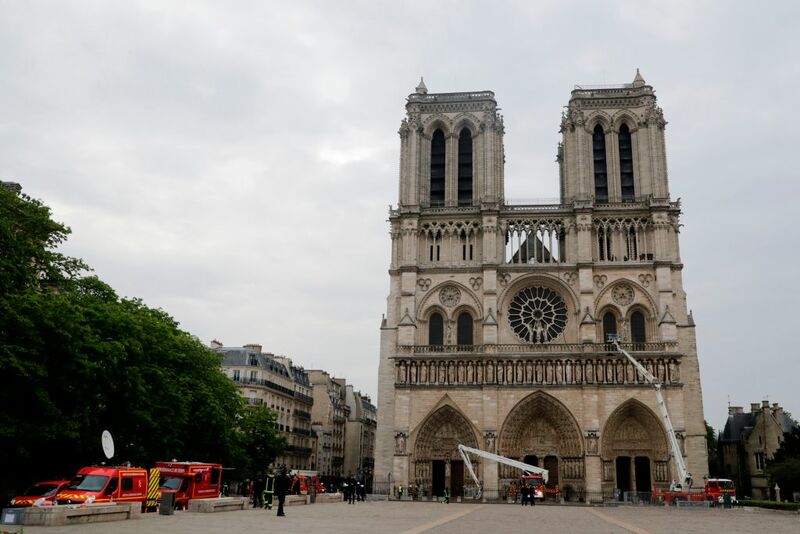 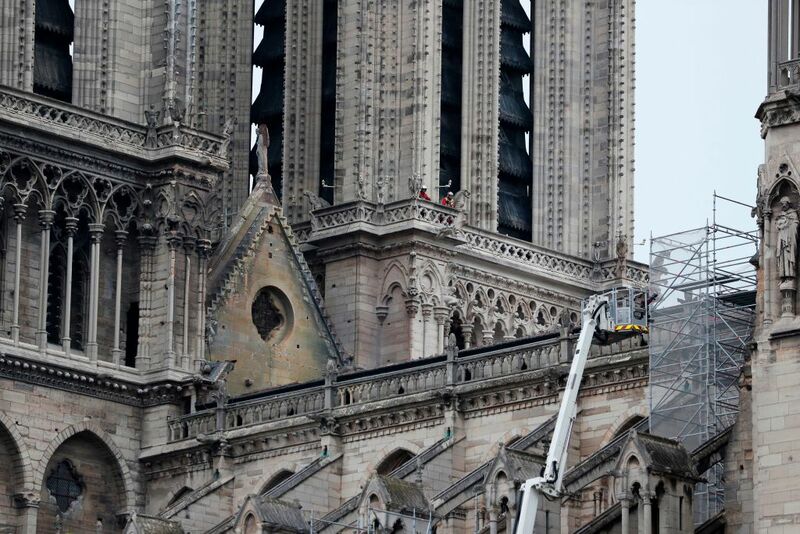 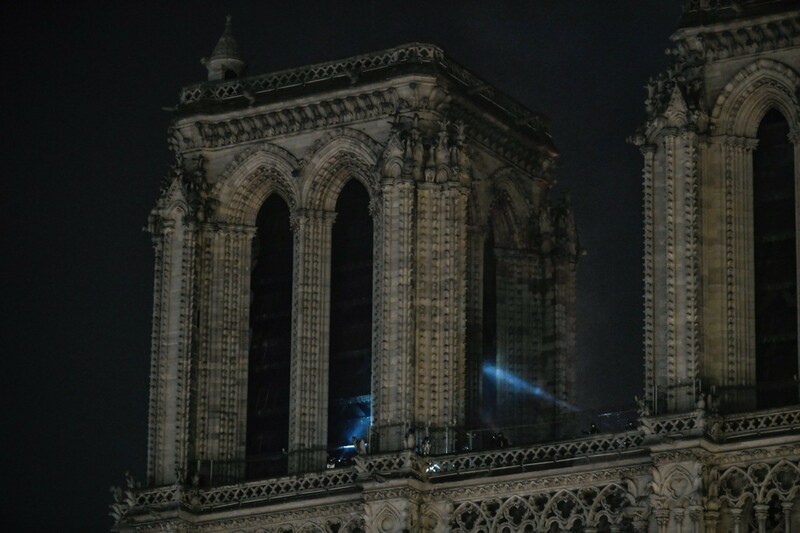 (AP) — French President Emmanuel Macron has promised to rebuild Notre Dame Cathedral and says he is seeking international help to restore the Paris landmark. 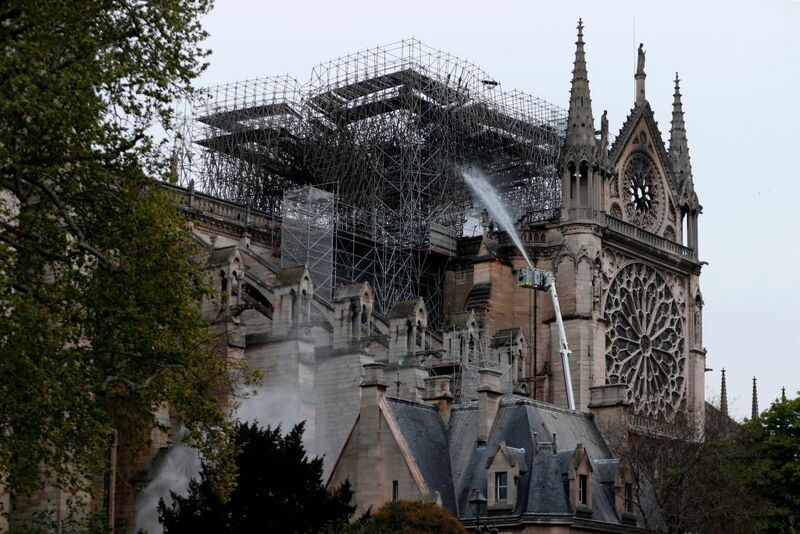 (AP) — The Paris prosecutors’ office says investigators are treating the blaze that destroyed part of Notre Dame as an accident for now. 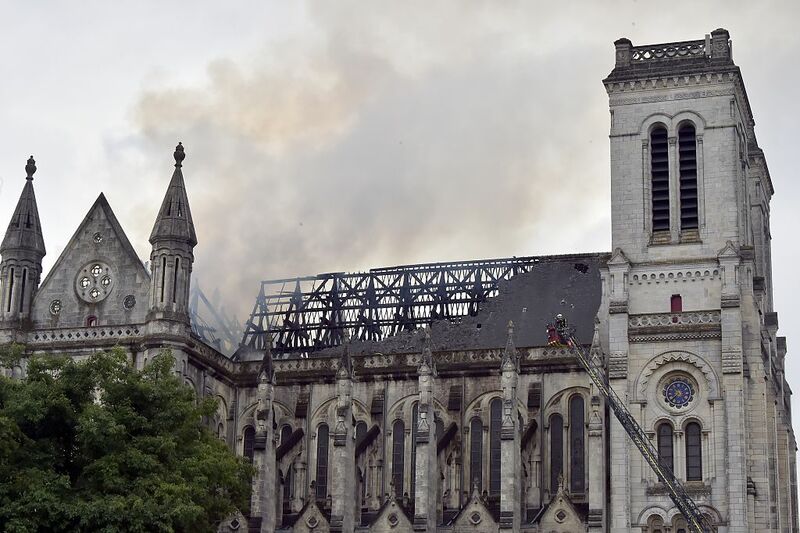 The Associated Press reports that Paris archbishop Michel Aupetit has encouraged priests across France to ring the bells of their churches in a call for prayers. 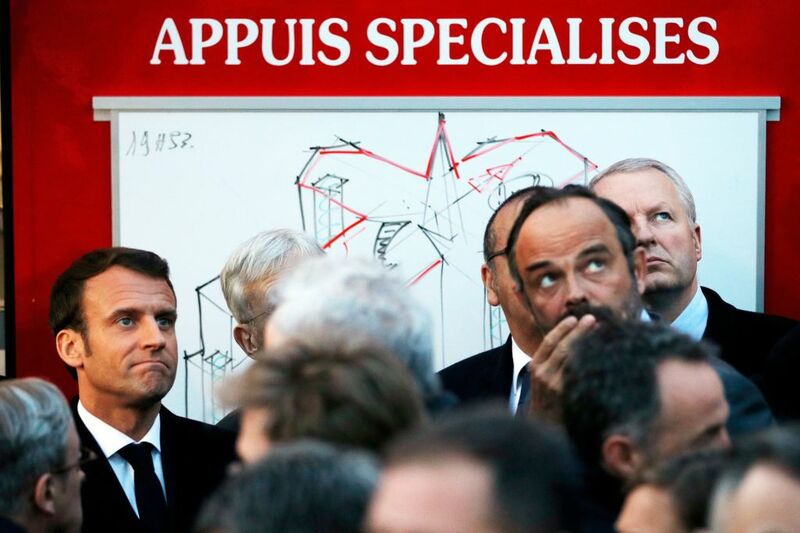 French president Emmanuel Macron arrived at the scene of the fire earlier this evening alongside prime minister Edouard Philippe and culture minister Franck Riester, where they are had discussions with emergency services leaders. 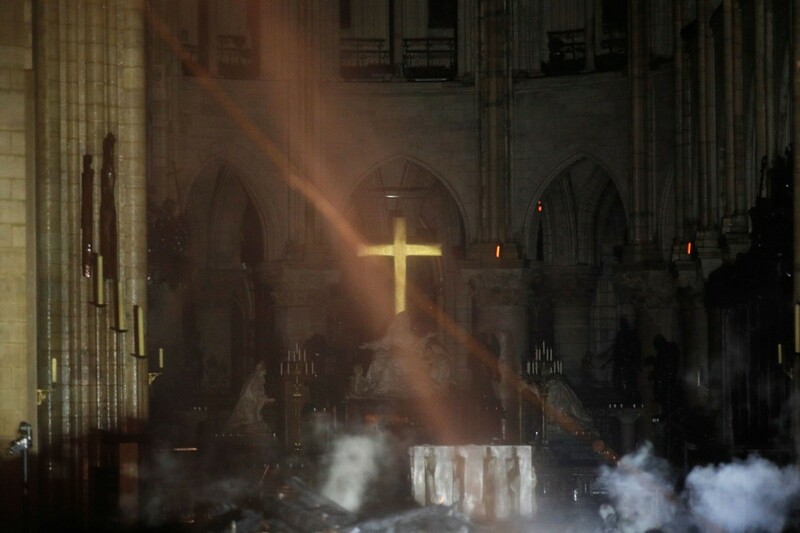 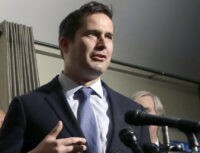 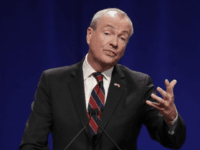 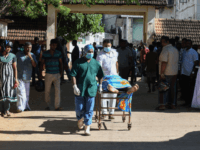 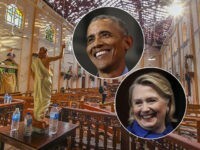 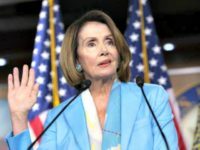 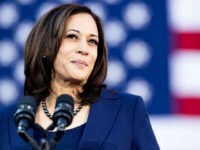 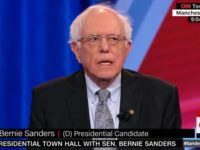 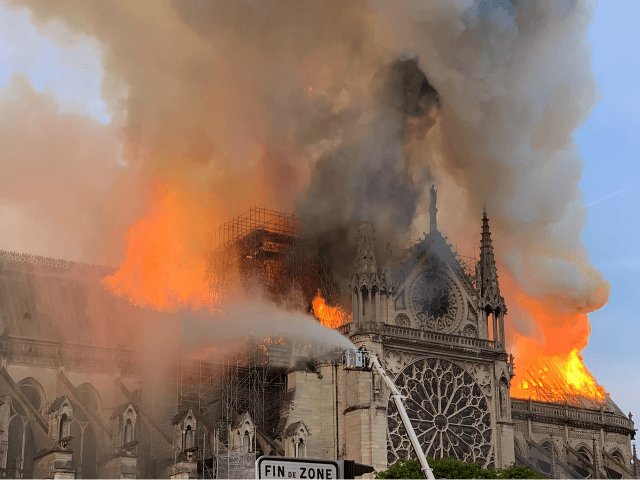 Other religious and political leaders, including U.S. Vice President Donald Trump, also took to social media to express their condolences and sense of loss over the destruction of such a priceless cultural heirloom and symbol of the Christian faith. 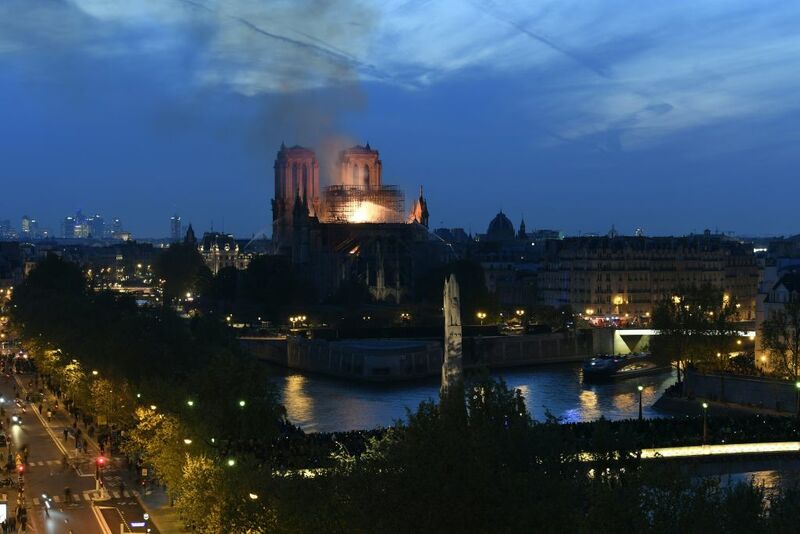 The Paris skyline is backlit by fire this evening, after a fire that broke out on the roof of the city’s famous cathedral in the late afternoon spread out of control. 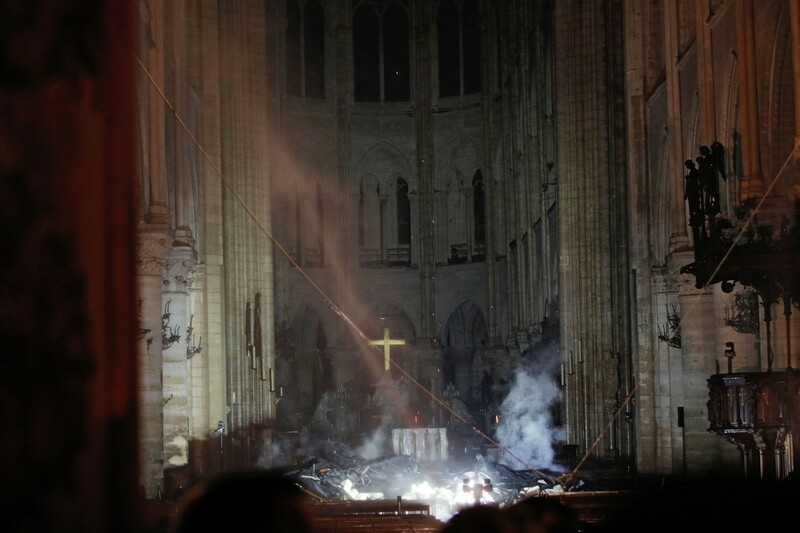 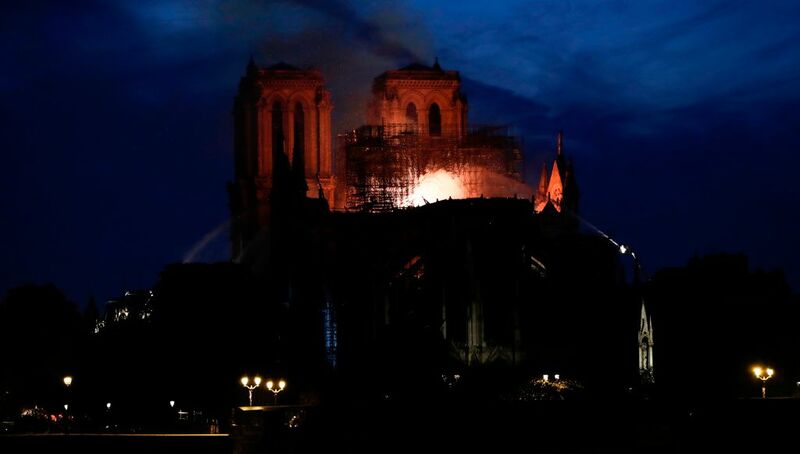 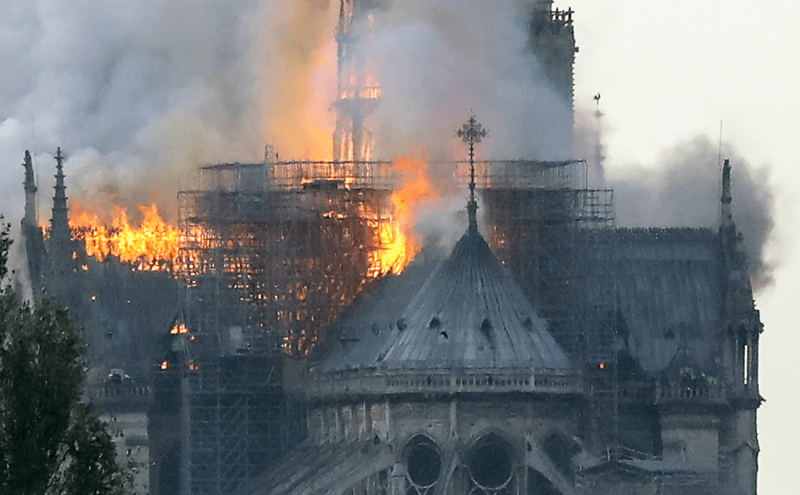 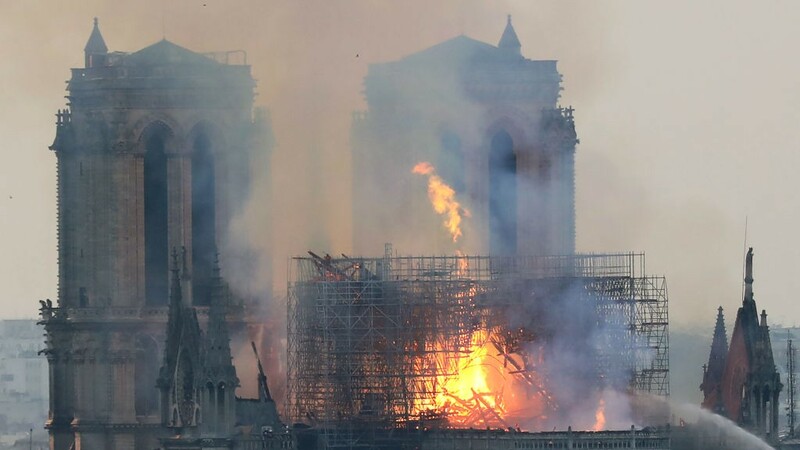 After collapsing the nave roof and central spire, flames appeared to spread to one of the rectangular bell towers that face onto the great square before the Medieval building. 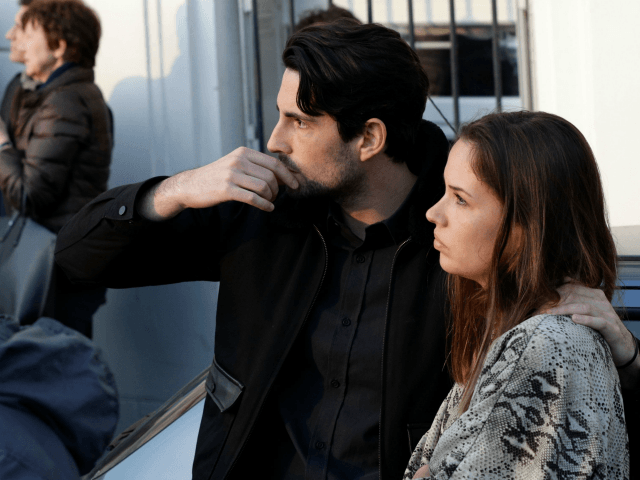 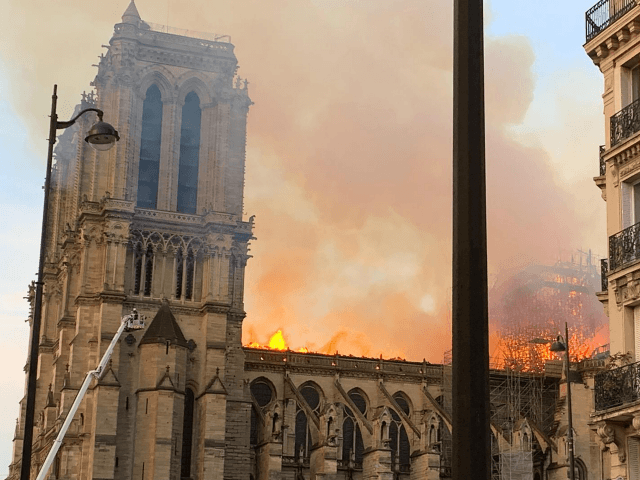 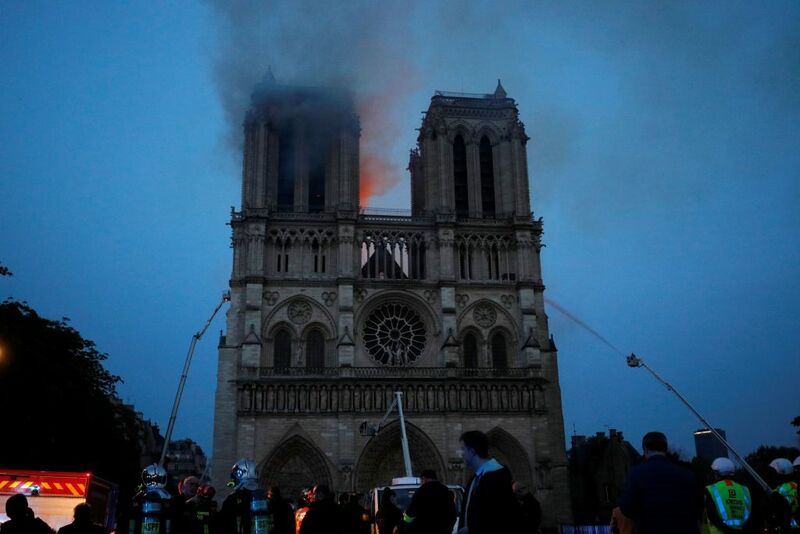 Despite an enormous effort to save the building, the Associated Press reports that the Paris fire brigade has said they may be unable to save the building at all. 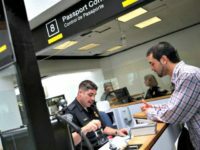 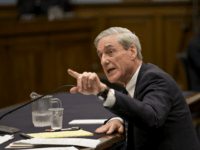 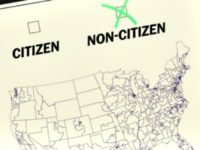 UPDATE 2025 — What is being lost? 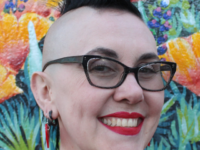 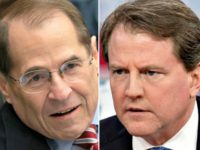 This story is developing, more follows.